The Mini Montebello is meticulously crafted from soft nappa leather and punctuated with microstuds in the brunito finish. 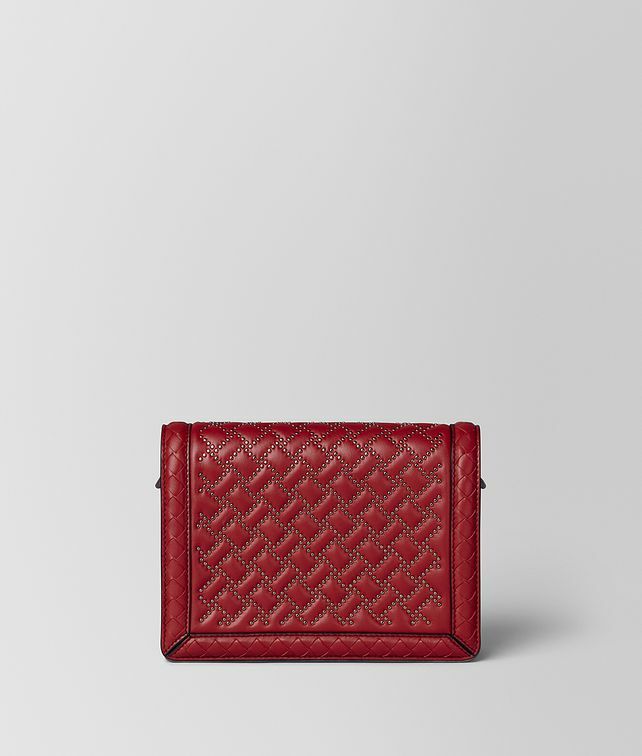 Its softly quilted, graphic pattern recalls the house signature intrecciato motif, which seamlessly outlines the bag. It features a detachable chain strap and a front flap that opens to two gusseted compartments.